We make delicious Belgian waffles (Brussels waffles). These waffles are freshly baked and served in front of your guests. They are lighter, crisper and have larger pockets compared to other waffle varieties. They can be served with whipped cream, fruits or chocolate spread. Waffles can be served as breakfast food or dessert and are perfect food for kids parties or wedding dessert. 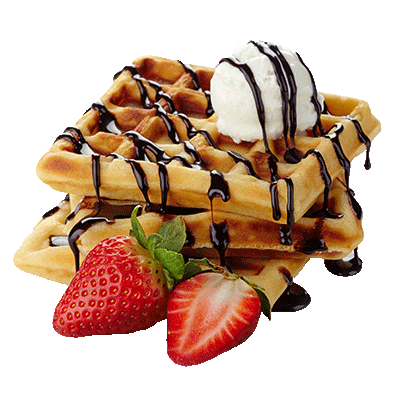 We use professional catering Waffle machine, to bake very tastiest Waffles around! Impress your guests with our Belgian waffles freshly baked in front of your guests on site! We serve Belgian waffles for weddings, festivals, birthday parties and other events across Reading, Ascot, Sunninghill, Newbury, Sunnigdale, Egham, Bracknell, London, Bagshot and rest of the Berkshire, Oxfordshire, Hampshire and Surrey.